Please note bust runs .5-1 inch smaller than our size chart. This elegant modest prom dress features vertically gathered chiffon on the bust and skirt and horizontally gathered satin along the waist. Sequins shimmer on the cap sleeves and the upper part of the back bodice, highlighting a modest keyhole. Katie is fully lined and features an invisible side zipper, along with a slight train. 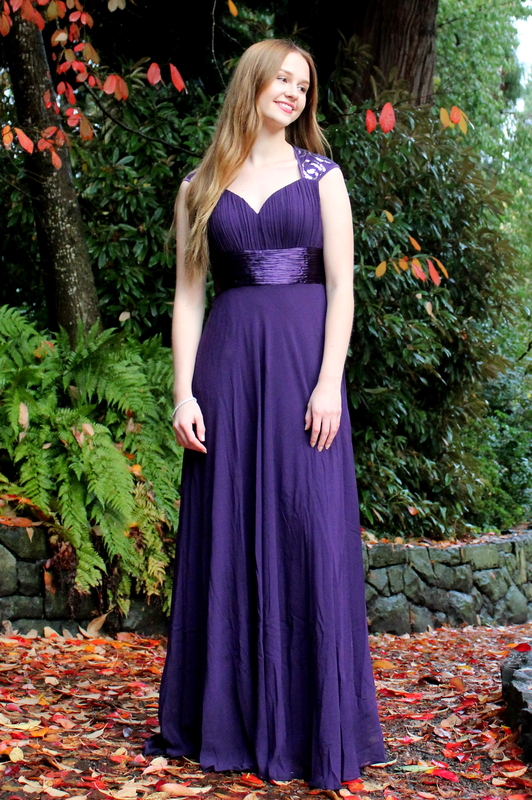 Shown in Grape Purple, Katie is also available in Cadet Blue, Coral, Ink Black, Seafoam Green and White. Please allow 1-3 weeks for delivery.